In recent weeks there’s been a number of worrying media reports about people, particularly children and the elderly, dying from complications after contracting the flu. These reports have got people asking why this year’s flu season has been so particularly bad. More Queenslanders have been admitted to hospital ¹ for severe flu this year than in the past five years and nationally more than 160,000 people have been struck down² with the dreaded lurgy – that’s more than double³ for the same period last year (to 19 August 2016). Is this a taste of things to come? Will flu outbreaks continue to sky rocket? Why has this year’s flu season been so bad? Even the most passionate supporter of vaccinations will tell you that you can still get the flu even when you’re fully up to date with your flu shots. The hardy flu virus is nothing if not a survivor. It’s constantly adapting to new environments and mutating to increase its chances of spreading which in turn increases its chances of survival. In fact the flu virus mutates so fast that’s it’s hard for the developers of flu vaccines to keep up. Each year a panel of flu experts look at the data from the previous year and decide which particular flu strains will be included in the upcoming year’s vaccination. Their aim is to include vaccines for the flu strains they believe will be the most deadly and/or the most prevalent. They’re not exactly guessing, but it would be wrong to call it an exact science either. Making that decision 6 months before flu season hits (to allow time for manufacture and distribution), doesn’t help the cause either. So when you get your flu shots, you’ll be protected against some flu strains but not all. And if one of the strains you’re not protected against turns out to be that season’s biggest hit, you may find yourself unfortunately crawling under the doona with the tissue box. According to the data-gatherers this year’s flu season started earlier than usual, and judging by recent reports, it looks like it’s going to extend later than usual also. An extended season naturally means more flu cases will be reported. Data also suggests that flu outbreaks ebb and flow. 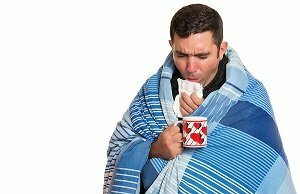 Dr Anthony Fauci from the National Institute of Allergy and Infectious Diseases in the US recently told CNN that government data showed that there was little rhyme or reason to the strength, severity of length of any flu season. “All the flu-ologists, myself included, say the only thing that you can predict about influenza is that it’s going to be unpredictable,” Fauci told CNN. How can you protect yourself from flu outbreaks? The Department of Health recommends flu vaccinations from as early as April through to June in the lead-up to and beginning of the flu season. Maintaining a healthy immune system through a diet high in vegetables, fruit, nuts and seeds, as well as regular exercise. Washing your hands regularly, especially when you’ve been in public areas with high foot traffic. Keeping a wide berth of people displaying flu-like symptoms – send those sick work colleagues home! For those at increased risk of the flu, the drug oseltamivi (commercially known in Australia as Tamiflu) may provide some protection. Clinical trials of Tamiflu have shown that the drug is most effective in the prevention and treatment of influenza in high risk groups, such as very young children and the elderly, and may offer some protection to those in lower risk groups also, such as young, healthy adults. While most off-the-shelf medications merely offer mild benefits in the treatment of flu symptoms, oseltamivir can be shown to actually reduce the severity as well as the length of the illness. This has made Tamiflu very popular. So popular that the manufacturer sometimes experiences difficulty maintaining supply during wide-spread flu outbreaks – like the one we’re currently experiencing in Australia. Tamiflu is currently on the TGA’s Medicine Shortages List and is not available in Australia, for the time-being. However that doesn’t mean you still can’t get it. A compounding pharmacy can help. With a script from your doctor National Custom Compounding can make up orders of oseltamivir using the exact same ingredients and ratios as those used by the Tamiflu manufacturer. It’s identical – all except for the label on the packet. Your doctor will be able to provide more information on Tamiflu/oseltamivir and advise if it’s the right medication for you.